Let Our Artists Work For You! We all have that one cherished photo that needs a little TLC. 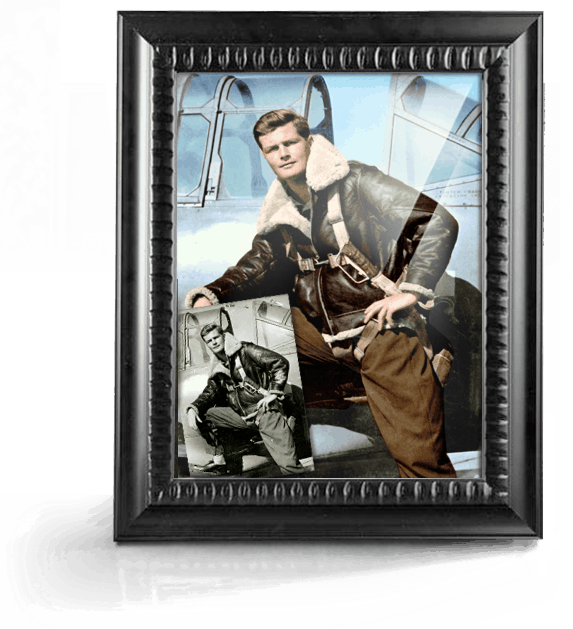 Whether it be colorization, restoration or just a larger size, Memory Portraits™ has you covered. Check out the services we offer for all of those treasured photos that may have seen better days. 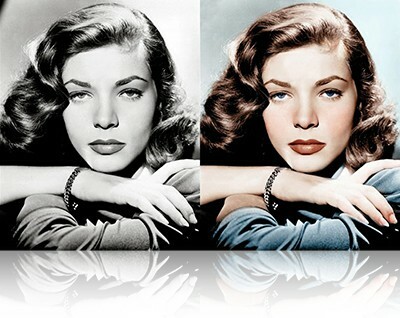 Our photo colorization services use advanced techniques for coloring black and white photos. Colorization breathes life into aging photos, transforming them into something beautiful and new. Take your photo to another level with the help of our large format printers. As part of service, we include exposure correction, color correction, minor sharpening, removal of unwanted objects, people or pets. 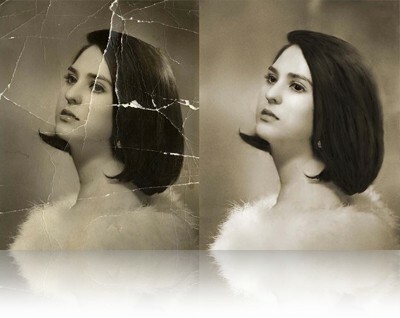 Old photo restoration services repair old damaged photos. Restore pictures that are faded, drawn-on, water or mold damaged. Our talented artists can fix pictures to brand new condition of the highest quality. Ever look at one of your old Black and White photos and wondered or wished it was in color? Well, wonder and wish no more. Memory Portraits™ artists utilize advanced software technology to turn your black and white photos into one with true-to-life vibrant colors. Not only will you have your original black and white, but a new colorized version as if it was originally shot in color. Ever look at one of your old Black and White photos and wondered or wished it was in color? Well, wonder and wish no more our photo colorization service is the best! Memory Portraits™ artists utilize advanced software technology to turn your black and white photos into one with true to life vibrant colors. Not only will you have your original black and white, but a new colorized version as if it was originally shot in color. It’s more than a print, it’s a memory worth holding on to. Printed with archival-quality inks on professional-grade photo paper, these are real keepers, meant to be enjoyed for years to come. 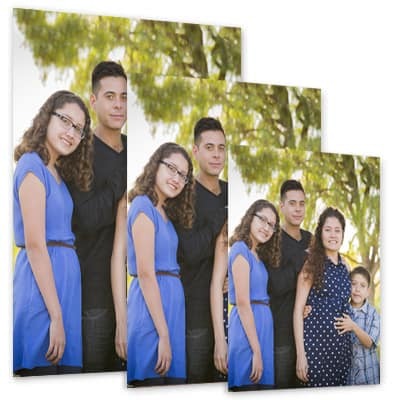 Create stunning photo displays on the wall of your event space with photo enlargements that personalize the room. An enlarged image gives guests a visual cue as to the importance of the event and serves as a powerful reminder of happy moments in one’s life. 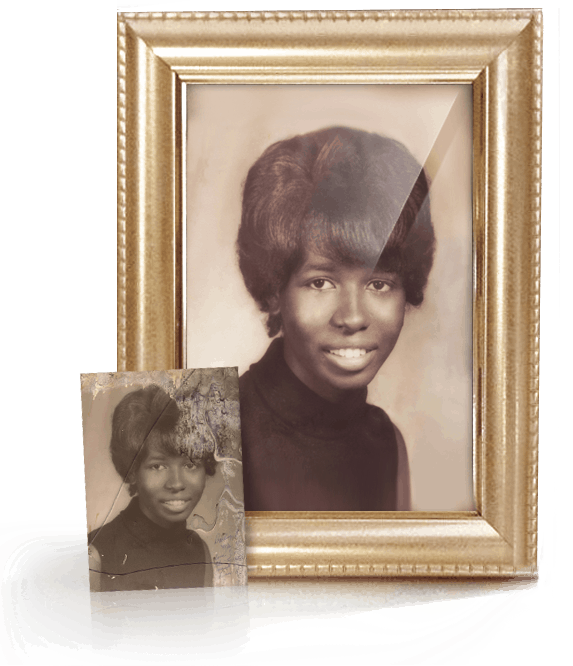 Our photo restoration service is our most extensive level of digital repair. Our advanced photo restoration techniques allow us to return nearly any photo to their former glory, even those damaged by fire, light, water, mold, or pets. While it’s true that most of our restoration work is on heirloom photos that have somehow been damaged over time we can also “improve” an image, upon request. 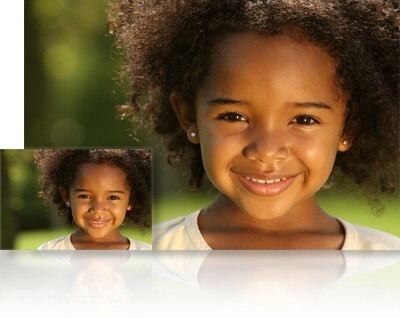 We can whiten teeth, remove a skin blemish, remove a person from a photo, or even place a new person into the photo. The sky is really the limit, simply tell us what you’d like and we’ll let you know if it can be done.